Discrete cosine transform implemented in Blink Script (and the inverse DCT transform too). Plug your image on the input, manipulate the DCT result and reverse it back with iDCT. It's a naive implementation without code optimization, so don't expect it to be fast. 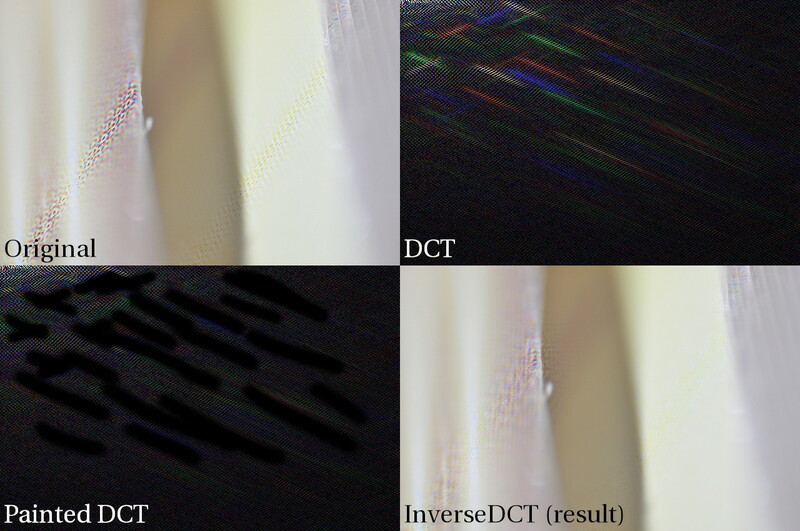 Paint the DCT, erasing some of the patterns from DCT (black color) and use the Inverse DCT to get the result. If you use the base code to do something cool, let me know! Bravo!!! Thank you man!!! Very useful!! !